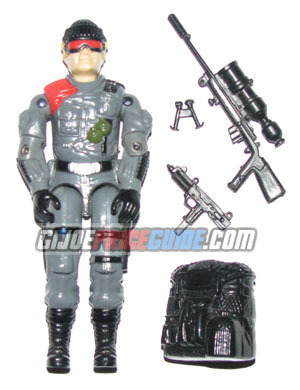 NOTES: Look for missing paint on the belt, hat and goggles of the first version of Low-Light from 1986. Often missing is Low-Light's small, black bipod for his sniper rifle. The bipod is interestingly either not rare or it's rarity does not significantly effect the value of this figure.